Home » Cruise Ship Reviews » Thinking of Cruising? Go Carnival! Stepping out of your car at the departure port is only the beginning. 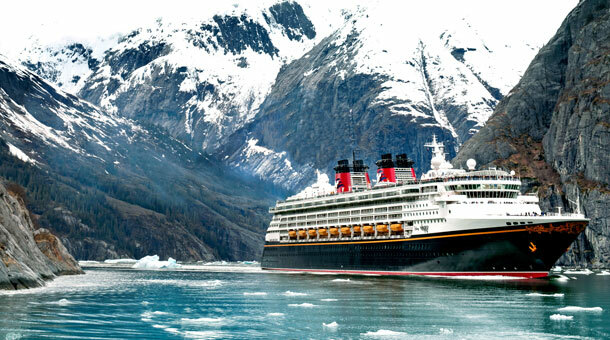 If you've never cruised before, get ready for a vacation of a lifetime. The excitement that builds up before you step onto the cruise ship is not as big as the excitement you get once you actually start your adventure at sea. Carnival Cruise Line definitely does a good job with keeping their guests happy and satisfied throughout the trip. The second you board the ship and place your belongings into your cabins, you're constantly greeted with warm and friendly smiles from every employee on board. If you're in need of something at any point in time, whether day or night, an employee will always be there to help you. Before the ship departs, everyone on board meets up in the theatre and goes over a safety briefing. This lets everyone know that they will not have to worry about their safety or anyone else's safety while embarking on the journey at sea. One of the best things about cruising with Carnival Cruise Line is there is always something to do. Whether it be early in the morning, middle of the day, or late at night. You may just be looking forward to getting to the ports of call, but its not just the destinations you're traveling to that are worth getting excited for, the days at sea are spectacular also. There are activities for all ages day and night, and tons of entertainment which you really get to experience during those days at sea. I mean, some crazy hilarious entertainment such as dance offs and harry chest competitions. The activities that happen on board bring families and friends together and even help you make friends as well, that you could potentially keep in touch with for a lifetime. When your stuck on a boat for a few days with people, it's nice to make new friends that you can hang around the casino with, maybe take dance lessons with and more. And Carnival definitely makes it easy to do so. While on board, the employees try and bring people together with all of their shows, entertainment on the deck throughout the day, and so on. It's nice seeing everyone gathered around in one big area laughing and dancing together. It makes the trip that much more exciting and fun. Aside from all of the entertainment, the food on the ships are out of this world also! You are guaranteed to never be hungry during your vacation, with the pizza bar, ice cream stand, and food buffet they constantly have on the deck. It's extremely tasty food too! Also, every night there Is a timed dinner for your family and friends to enjoy and most of the time, you get your own table, depending on how many people you have and all. But the food there is amazing also. It's a three course meal that will be hard to forget! And trust me, you'll definitely leave full. Aside from the food, these dinners are a great time to share exciting events that occurred throughout your day on board, or to talk about the excursions your family and friends took part in that day. During this time once again, the employees will always make sure you're having a good time! Some nights they dance, sing, and get you're friends and family involved too. Every second is full of fun and laughter. If you're thinking about booking a cruise at some point in the future, try out Carnival Cruise Line, so that you can leave your vacation happy and full of unforgettable memories also. Related : Thinking of Cruising? Go Carnival!